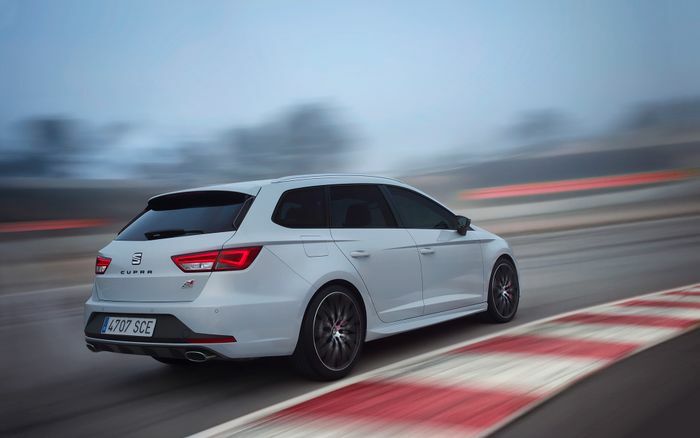 When we were given the chance to belt the Seat Leon ST Cupra around a track, we were shocked at just how capable the load-lugging version of one of our favourite hot hatches really was. We were also given a few hot laps with Seat’s bonkers test driver Jordi Gene, who told us he was confident he could actually complete a Nurburgring lap quicker in the estate than in the hatch. Turns out he was right. With a lap time of 7m 58s dead, it’s 0.4sec quicker than the plucky hatchback. Furthermore, that makes it more than 10 seconds quicker than the previous generation Audi RS4, which has 414bhp compared to the Leon’s 276bhp. “In high speed corners the ST rear axle is more progressive, and the top speed is higher with the better drag coefficient. What we lose exiting some corners we get it back in high-speed turns and on the straights.